Over 4 million mobile phone towers scatter the globe providing wireless communications to over 7 billion mobile devices - 24 hours a day. Distributing reliable power to all these wireless connections is absolutely vital but is a challenging and costly task. 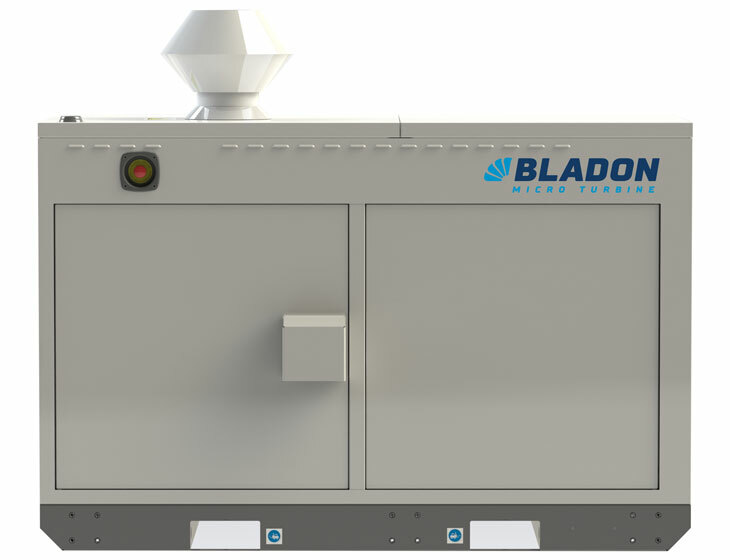 Introducing the Bladon 12kW Micro Turbine Generator set (MTG); transforming how cost effective, reliable, clean power is generated for the telecom tower market. With up to 8,000 hour service intervals switch genset service visits from once a month to once a year or less. Bladon’s microturbine genset has only one moving part and the reliability synonymous with turbine technology delivering longer life than a traditional diesel genset. Requiring no engine oil or liquid coolant further reduces costs and environmental impact. Use conventional diesel in the MTG and preserve the supply chain or switch to kerosene or paraffin fuel without any modification to reduce opex costs further. Mix the two fuels and deter theft again without any changes to the MTG. Designed from the very start with security in mind. The MTG has single service door access, tamper proof internal hinges, tamper proof shrouded lock hasps, smartlock compatible, and shallow service area. The MTG has no reusable parts for conventional diesel gensets either; making it less attractive to theft. 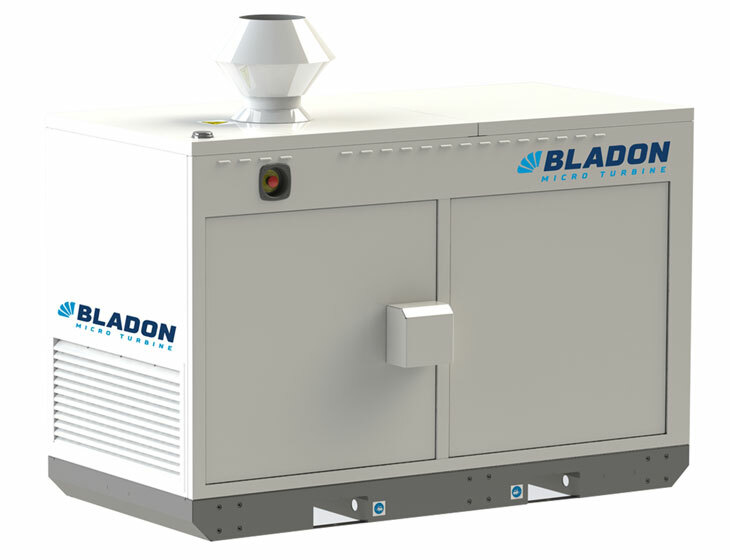 The Bladon MTG is the world’s ONLY EURO V emissions standard compliant 12kW diesel genset. Producing 80% less Carbon Monoxide (CO) and 60% less NoX than conventional diesel gensets. No oil or liquid coolant makes the MTG cleaner, reducing oil and disposal costs by 100%. With a sound envelope of <65dB at 1m the MTG is whisper quiet and has virtually no vibration. A perfect application for near residential or sensitive areas and rooftops. 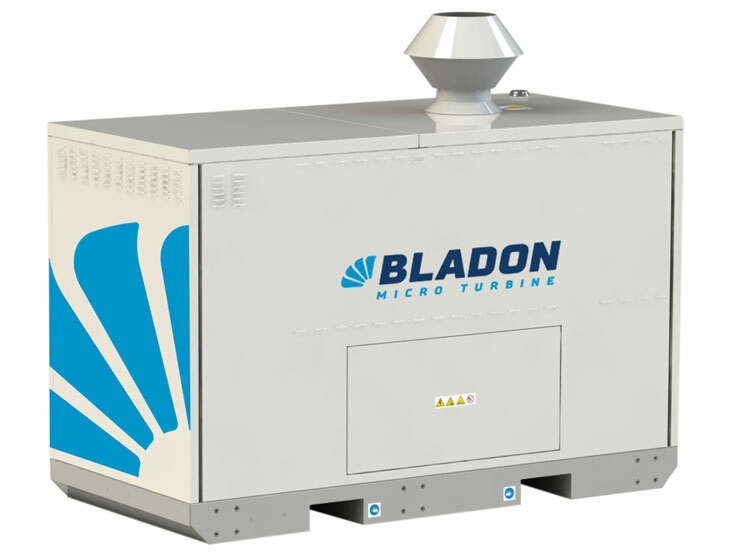 Bladon’s microturbine technology is a game changer in the delivery of reliable and cost effective power to the telecom tower industry. We are seeing over 50% reductions in opex through reducing service site visits, fuel costs, and fuel/asset loss.